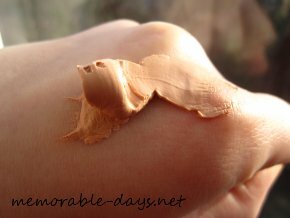 Review: Queen Helene - Mud Pack Masque | Memorable Days : Beauty Blog - Korean Beauty, European, American Product Reviews. 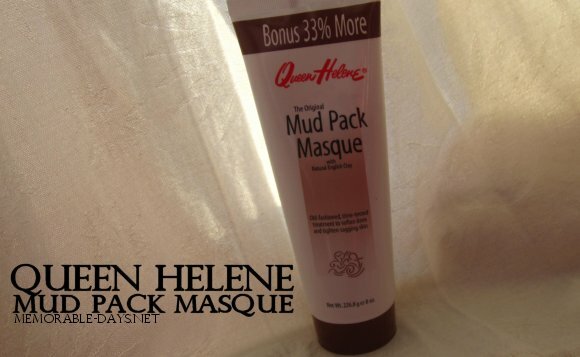 I've read many many good reviews about the masks from Queen Helene, like the Mint Julep Masque and the Mud Pack Masque. They didn't sell the mint julep masque in the store where I was, so I decided to try the mud pack masque. I bought it for €4.95 at an African store (Afro shop) in Amsterdam. It's a large tube, so you can use it for a long time. It's quite inexpensive for such a large tube. There is 226.8 g - 8 oz. in it. It's in a tube where you have to squeeze the mask out. I don't really like the opening of it, because the mask will stick at the opening, see picture below. Water (Aqua), Kaolin, Bentonite, Glycerin, Zinc Oxide, Propylene Glycol, Iron Oxides (CI#77492), Fragrance (Parfum), Phenoxyethanol, Methylparaben. No animal ingredients, not tested on animals. Cleanse your face and neck thoroughly. 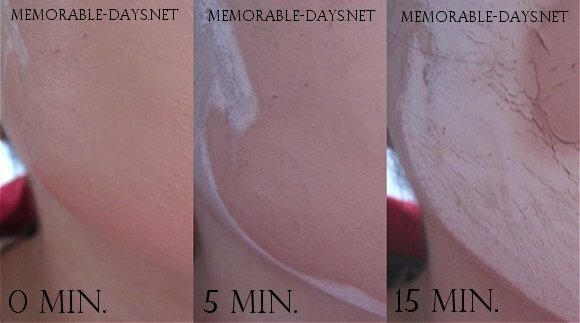 Apply the mask generously and wait about 15 minutes to allow the mask harden. I waited till my mask was completely harden which was about 20 minutes and I had put a thick layer on my face. When it was time, I removed the mask with warm water and a washcloth. Want to see a gross but cool picture? LOL .. are you sure? .. You are warned it's really GROSS!! When it's dry, you can see the impurities that have been soaked up by the mask, so all of your pores will be visible and I have LOTS of pores on my nose.. Check my pores out on my nose and chin - really EWWWWW~ GROSSSS!! XD LOL But this really gave me the feeling that it worked and it did! When I applied the mask, it started to sparkle a little bit, but that feeling was gone after a few seconds. It's a really GOOD mask which does what it claims. My pores were very clean after I washed the mask off. It did tighten my skin, but it also felt a little bit dry. This product is definitely worth buying, it's inexpensive for such a large tube and it works! The only large con of this mask is the smell. I really couldn't stand the scent of it when I opened the mask, but I'm happy that the scent is less bad when you have the mask on. I really want to try the Mint Julep mask from Queen Helene, I've read tons of good reviews about that mask as well ^_^. Ieeee! Die foto's van je porien hahaha! Da's gaaf en jakkie tegelijk ^^ Maar best wel cool om te zien eigenlijk LOL. thanks for your review!! i wonder what country is this brand from ^_^? Ik wil het mint julep en deze best graag! maar op internet zijn ze zo duur :| In de gewone shops dan. coool! i've triedd a couple of queen helene products and i love them.. i haven't tried this yet though! @Suzy, whuahahaha jaaa echt grosssss xD lol =P toen ik het zag zei ik ook EEEEWWWW hahaha. @siwing, really? which one have you tried ^^? 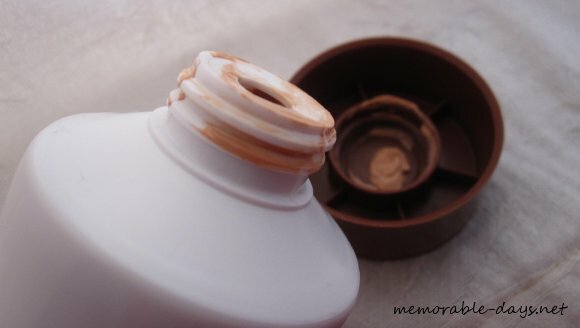 oh wow it looks like it really cleans the pores from the picture! @pop champagne, thanks for following ^^ !! Ohh! I want to try this too! Looks like a good mask to try. Thanks for sharing!!! @petitchouxx, don't some stores sell it online in your country :) ? @Rinny, I also want to try the mint julep oneee!! That one seemed to be better than this one. It worked on me, but the smell of the mask was just terrible >.<"
who cares what the smell is if it works? hey there. just found your blog on my sick day :P i'm very impressed with this mask! where can i find such an afro shop? i'm in eindhoven but i've only lived here for 2+ years so i'm still figuring out on shops and stuff. another thing i want to try is de van der hoog of iets. i keep seeing them here and always wonder if they are any good. but yeah would loveeee to try this one. keep reviewing ya! love reading them.